All Things Brantley, All Things Tribe: Brantley Named To Sporting News' 2014 American League All Star Team! Brantley Named To Sporting News' 2014 American League All Star Team! 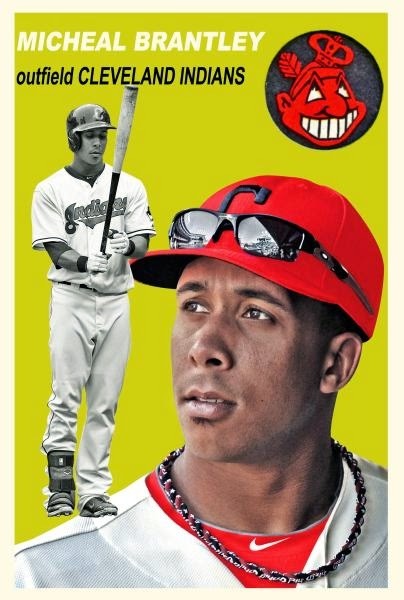 today, on October 22, Michael Brantley achieved yet another new career first when he was named to the Sporting News' 2014 American League All Star Team! the Sporting News AL All Star team is picked by a panel of 20 American League, aka Junior Circuit, general managers and assistant general managers. the decisions for this year's teams were made in late September. SN has been selecting All Star teams since the 1920s. Michael is the first Cleveland Indian chosen for this honor since 2011, when shortstop Asdrubal Cabrera was selected. in addition, Michael is the first Indians outfielder named to SN's team since Grady Sizemore made it in 2008. Michael also joins starting pitcher Cliff Lee (2008), starter C.C. Sabathia (2007), right fielder Juan Gonzalez (2001), and 1st baseman Jim Thome (2001) as the only other Tribe players to be part of a Sporting News AL All Star team since 2001.
the rest of the AL team this year includes the following players: White Sox 1st baseman Jose Abreu, Astros 2nd baseman Jose Altuve, Angels shortstop Erick Aybar, Rangers 3rd baseman Adrian Beltre, Angels outfielder Mike Trout, Blue Jays outfielder Jose Bautista, Tigers designated hitter Victor Martinez, Royals catcher Salvador Perez, Mariners starting pitcher Felix Hernandez, and Yankees relief pitcher Dellin Betances. congratulations, Michael, on this postseason accolade!